I work with individuals in civil litigation cases that include: contract disputes, temporary restraining orders, restraining order disputes, partnership dissolutions, debt collection, etc. I have represented the complaining party (Plaintiff) and the party sued (Defendant). Hiring an attorney for civil litigation or other reasons can be confusing and intimidating for those unfamiliar with Georgia’s court system. When you need legal counsel and representation, retaining an experienced lawyer who is concerned with your case is vital. If you have a legal issue and need experienced representation, contact my office to schedule an appointment for a free half hour initial consultation. Money, unfortunately, can divide a family after the death of a loved one. 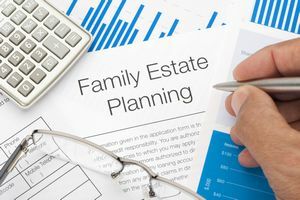 The typical way to set aside a will in most states is proving that the deceased did not have testamentary capacity. In other words, it is a way to challenge the mental faculties of the deceased. This type of argument has become increasing necessary as Alzheimer’s disease and other dementia effects a greater percentage of the population. During my career, I have met individuals who have lamented not hiring me sooner. Many believe that I could have saved money and misery by curtailing estate disputes. I am a firm believer in mediation to resolve such disputes. If a case cannot be settled, then I aggressively prepare and represent you at trial. Please contact me today to schedule an appointment for a free half hour initial consultation. Call 678-366-0730 and get the legal service you need.